In America, the word “alliance” conjures feelings of friendship, loyalty and support. In India, by contrast, the A-word is more likely to be received with suspicion or derision, associated with submission and entanglement. This stark difference between the world’s oldest and largest democracies is a legacy of India’s influential post-independence philosophy of nonalignment, which cautioned against dependency on superpowers. While its appeal has diminished since the end of the Cold War, existing proponents of nonalignment continue to shape India’s geopolitical maturation, not least through the perpetuation of several myths and misconceptions about the costs of “alignment” with the United States. India’s internal pressures and geographic isolation have long kept its government focused primarily on the affairs of the subcontinent. But fearing encirclement by China’s expanding military presence, and depending more and more on vital economic lifelines through hotly contested waters, New Delhi is expanding India’s defense presence across the Indo-Pacific. From the shores of southeastern Africa to the mouth of the Malacca Strait and, increasingly, into East and Southeast Asia, India is wooing strategically located states and winning access to foreign ports and military bases, while building up naval and air infrastructure to leverage the geographic advantages its own remote territories provide. India’s Skillful Posturing With the U.S.
LONDON: Defying threats of US sanctions, India signed a $5.4 billion deal to buy the S-400 Triumf air defense missile system from Russia during President Vladimir Putin’s visit to New Delhi in early October. This is one of the biggest Indo-Russian defense deals in recent times with expectation in some quarters that it could revive an otherwise flagging Indo-Russian relationship. During the visit, the two nations “reaffirmed their commitment to the Special and Privileged Strategic Partnership between India and Russia,” and underscored the value of multipolarity and multilateralism. Pakistan and China define their friendship as “higher than the heights of the Himalayas and deeper than the depths of the Arabian Sea.” To make it even stronger, President Xi Jinping of China visited Pakistan in April 2015, with a multibillion-dollar investment plan – the China-Pakistan Economic Corridor (CPEC), the main plank of Xi’s Belt and Road Initiative (BRI). China has always defined the BRI as a win-win situation, implying that both China and host countries would enjoy the resultant economic prosperity. The truth, however, is completely different. Basically, “win-win” probably meant that China would “win twice.” Unfortunately, the CPEC has burdened Pakistan’s economy with a lot of debt and trade deficits, and pushed the country on to the brink of bankruptcy. As well, China did not provide Pakistan with industrial technology to help it boost exports, nor did it create many jobs in the country – because the project has mostly hired Chinese laborers. Such clarity and candor should be welcomed in U.S.-China relations. It is necessary and appropriate to undertake a recalibration of the relationship through more forceful responses to Beijing’s predatory and problematic behavior. US President Donald Trump may think that his approach to China amounts to putting “America first.” Yet his policies will hurt not only China, but also the US and the rest of the world, not least by undermining leaders' ability to address shared challenges like inequality and climate change. 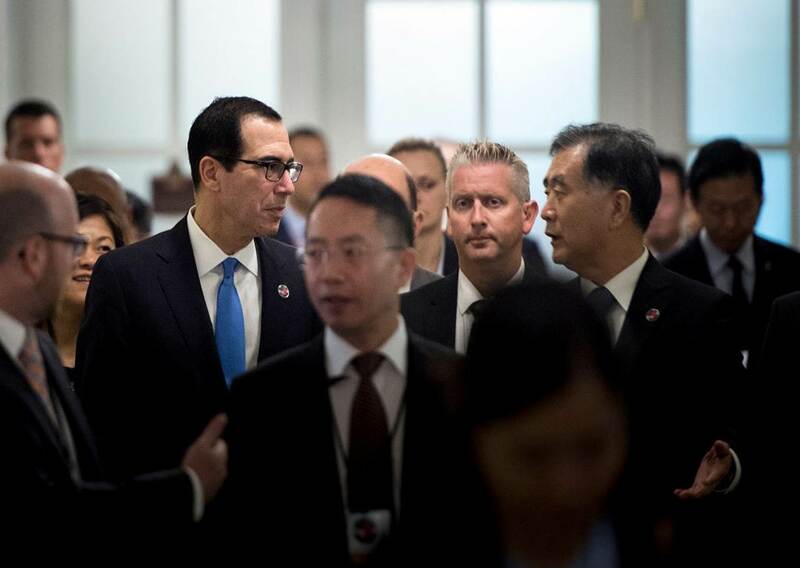 HONG KONG – Trade tariffs may be getting the most attention, but the conflict between the United States and China is actually being fought on multiple fronts, including exchange rates, technology, cyberspace, and even arms. This does not bode well for the world’s capacity to confront shared challenges, from migration to climate change. Japanese Prime Minister Shinzo Abe just did a disservice to Japan, its alliance with the United States, and the man he calls his friend, President Donald Trump. At a time when Washington and its allies are increasingly standing up to China, Abe went to Beijing to make nice with China’s leaders. Abe began his multi-day visit amid promises to expand Japan-China ties ranging from business to sports. Appallingly, Abe expressed a desire to participate in “infrastructure projects” related to China’s Belt and Road Initiative, Beijing’s flagship means of spreading economic influence and corruption around the globe. The Japanese leader even proposed “shifting from competition to collaboration” with the world’s largest kleptocracy. Will China’s rivals benefit from the trade war? You can judge a nation by its plastic bags. Or so you might conclude after a visit to An Phat, a Vietnamese company that is one of South-East Asia’s largest exporters of plastic packaging. Japanese clients insist on the highest-quality bags, composed entirely of new plastic, not recycled materials. Eco-friendly Europeans demand biodegradable bags. Convenience-loving Americans want bag handles that tie easily into knots. Japanese Prime Minister Shinzo Abe has just concluded his landmark state visit to China, the first by a Japanese leader to China in seven years. 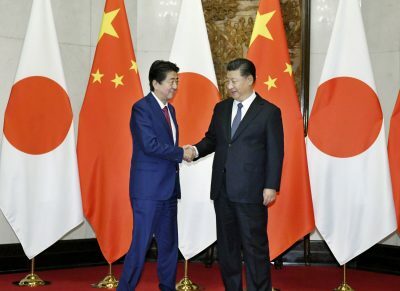 Commemorating the 40th anniversary of the China–Japan Peace and Friendship Treaty, Abe and Chinese President Xi Jinping announced a raft of initiatives. But how significant is this cooperation between the second and third biggest economies in the world? Is their difficult relationship sustainably on the mend against the backdrop of increasing US–China tensions? The visit marks an amazing turnaround from the tensions between the two countries earlier this decade. 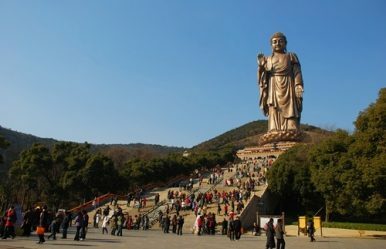 China–Japan ties nosedived in September 2010 in the wake of an incident between the Japan Coast Guard and a Chinese fishing trawler near the Senkaku Islands — claimed as the Diaoyu Islands by China. Ties turned frostier in September 2012 after Japan nationalised three of the Senkaku/Diaoyu Islands, a move that then prime minister Yoshihiko Noda was forced into after the manoeuvring of former Tokyo governor and ultra-nationalist Shintaro Ishihara. Ishihara solicited donations and threatened to buy the islands from their private Japanese landowner, build a port and station Japanese officials there in a move designed to undermine the tacit agreement between Japan and China to maintain a low-key approach to resolving the issue. China responded by suspending high-level political exchanges and large-scale anti-Japan protests in China added to the tensions. Bilateral relations took a further hit in December 2013 when Prime Minister Abe visited Yasukuni Shrine — the shrine which is the place of repose for the souls of Japan’s war dead, including, since 1978, 14 class-A war criminals. At a Wednesday event hosted by the U.S. Chamber of Commerce and RealClearPolitics, Joyce was asked twice about the sensational Oct. 4 story headlined “The Big Hack: How China Used a Tiny Chip to Infiltrate U.S. Companies.” The piece asserted that in 2015 spyware in the form of tiny microchips was surreptitiously placed – apparently by the Chinese military -- on mother boards assembled in San Jose, Calif., for computer servers sold to American companies, including Amazon’s AWS and Apple Inc. This purported effort to exploit the U.S. supply chain with manipulated hardware shocked national security officials as well as private sector cybersecurity officers already under siege from cyberattacks. Joyce, the senior adviser for cybersecurity strategy to the director of the NSA, downplayed the threat, however, saying that neither the agency nor any of the supposedly infiltrated companies have found any compromised mother boards. On 9/11, 19 Arab hijackers trained in al Qaeda camps in Afghanistan killed almost 3,000 people in the United States in a matter of hours. It was the deadliest terrorist attack in U.S. history and has indelibly shaped Americans’ understanding of security and terrorism ever since. Unfortunately, that understanding is increasingly out of step with reality. Jihadist organizations are no longer the main terrorist threat facing the country. Since 9/11, no foreign terrorist group has successfully conducted a deadly attack in the United States. The main terrorist problem in the United States today is one of individuals—usually with ready access to guns—radicalized by a diverse array of ideologies absorbed from the Internet. The Trump administration’s handling of the Jamal Khashoggi affair, and the domestic U.S. politics associated with it, display on two levels an extreme form of tribalism. This type of tribalism involves drawing rigid lines according to fixed loyalties and never seeing any good on the other side of the line or any evil on one’s own side. It means subordinating everything, even principles, to sustaining the strength and the power of one’s own side. As anticipated, President Donald Trump—grudgingly recognizing the outrage over what happened to Khashoggi—is trying to formulate the minimum possible response to the outrage, with minimum disturbance to U.S. relations with Saudi Arabia. The administration’s posture was reflected in Secretary of State Mike Pompeo smiling his way through a photo op as he sat down with Saudi Crown Prince Mohammed bin Salman (MbS), who, however much he might want to diversify and modernize the Saudi economy, has the political and human-rights record of an autocratic thug. A set of potentially devastating U.S. sanctions on Iran’s petroleum and petrochemical industry will go into effect on November 4, 2018 — two days before the U.S. midterm elections. These sanctions are part of the Trump administration’s Iran strategy, built on the assumptions of Iranian insincerity in rolling back its nuclear program under the multinational Joint Comprehensive Plan of Action (JCPOA) agreement and the growth of Iran’s destabilizing behavior and capability development in the Middle East. This new strategy came into effect a year ago in October 2017, five months after the Trump administration backed out of the JCPOA, aiming to take a harder line on the Islamic Republic than its predecessor. Is it true? Has President Trump fired the first shot in a Cold War-style nuclear arms race by withdrawing from the Intermediate Range Nuclear Forces Treaty (INF)? Evidence from the Cold War and after indicates the answer is: likely not. Since initiating the reform of the Russian Armed Forces in 2008, Moscow has paid close attention to the development of its own network-centric warfare capability. Elements of this version of network-centric approaches to combat operations have involved strengthening electronic warfare (EW) capacity, modernizing infrastructure, reforming structures, as well as boosting and streamlining command and control, among other features. A related emphasis has been placed upon force enablers and force multipliers. As the integration of command, control, communications, computers, intelligence, surveillance and reconnaissance (C4ISR) has advanced, Moscow has also experimented with network-centric operations during its involvement in the complex conflict in Syria (Versia.ru, October 1). Facilitating its network-centric operations in Syria involves unifying reconnaissance and intelligence along with command-and-control (C2) structures in the central hub of the National Defense Management Center (Natsionalnomu Tsentru Upravleniya Oboronoy—NTsUO), in Moscow. The NTsUO was created in December 2014 and lies at the heart of Russia’s burgeoning network-centric capability (see EDM, April 19, 2016; November 4, 2014). Only two decades into the twenty-first century, there have already been six conflicts with more than ten thousand casualties in the Middle East. Further threatening an embroiled region, many analysts warn that more conflict could be on the horizon: wars fought over water. In the words of UN Under Secretary General Hans van Ginkel, “conflicts over water, both international and civil wars, threaten to become a key part of the twenty-first century landscape.” Unless the looming potential for conflict can be abated, the United States and its allies will be drawn into yet another war in the Middle East. Resource scarcities are rife and rising in conflict-prone areas like the Nile region, Iraq and Yemen. Still other countries, like Somalia and Sudan, recently experienced famine or droughts that were linked to banditry and sub-state conflict. But the region with the most worrying potential for interstate conflict over a lack of resources namely water—might be the Jordan River Basin. Not only is the basin one of the most water-deprivedplaces per capita, but it also comprises countries with previous histories of conflict: Syria, Israel, Palestine, Lebanon, and Jordan. 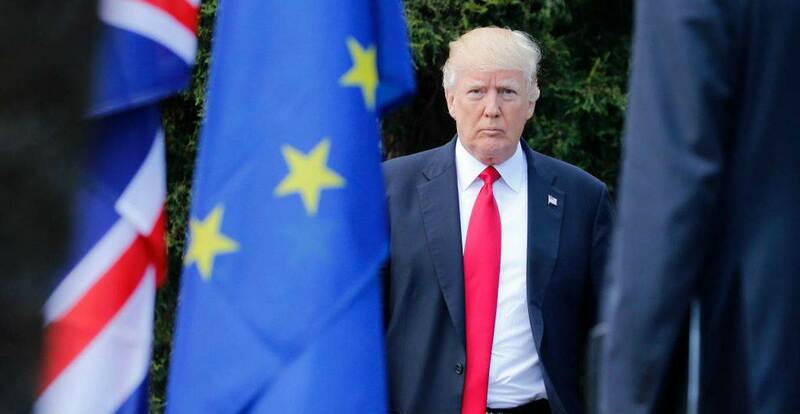 Among the many legacies that US President Donald Trump received from his predecessors is a "secondary sanctions" regime that allows the US to bar malign actors from most of the global economy. Under Trump, however, this sophisticated set of tools has become a bludgeon with which to threaten allies. BERLIN – Donald Trump may not want to launch wars in the Middle East, but that doesn’t mean he’s getting the United States out of the regime-change business. His administration has made it clear that it wants crippling sanctions on Iran to serve the same purpose as the Bush administration’s 2003 invasion of Iraq. The race to become the next German chancellor has begun. When German chancellor Angela Merkel started attending her first international summits, she would mingle with Tony Blair, Jacques Chirac and George W. Bush. All are long gone—but until today Merkel appeared to be the permanent stabilizing fixture in international politics. Since the advent of Donald Trump Merkel has been widely perceived as the defender of the liberal international rules-based order reflecting western values of liberty and human rights. The day after state elections in Hesse, home to the financial center of Frankfurt, Merkel de facto announced the beginning of the end of her political life. She quashed all speculation that she might seek a prominent job in the European Union (EU) or even in the United Nations. Without prior consultation even within her inner circle, she took herself off the table. From now on she is a lame duck. After eighteen years at the helm of the Christian Democratic Union (CDU) and twelve years as chancellor, Angela Merkel had no choice but to begin her exit from German politics. It’s October and the United Nations General Assembly and subsidiary committees have started their work in earnest. As expected, Russia tabled a draft resolution seeking the General Assembly’s endorsement of an “international code of conduct for international information security,” and a resumption of the UNGroup of Governmental Experts (GGE) process next year. Somewhat less expected, however, is that the United States tabled a competing resolution, setting up a clash between Russia, China, and their largely autocratic friends on one side, and the United States, the European Union, Canada, Japan, and Australia on the other. When it comes to technology, there is a common misperception that only the rich benefit. 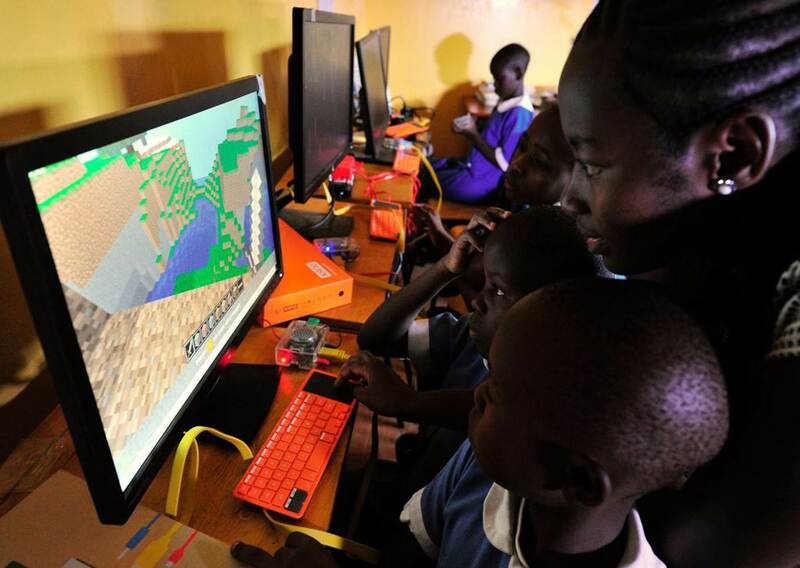 But the innovations behind gadgets like iPhones and robotic vacuums have the potential to boost development and prosperity throughout the Global South. LONDON – A common misperception among observers of digital trends is that consumers in developing countries do not benefit from advances in technology. 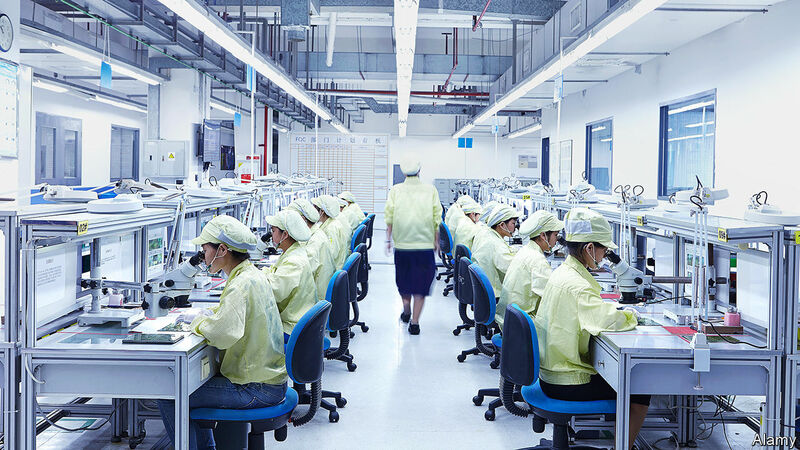 Whether it is owning the latest smartphone or “employing” robot cleaners, the ability to access innovation is one of the most visible differences between rich and poor countries. The morning after German Chancellor Angela Merkel's unpopular grand coalition was trounced in a bellwether election, she announced she would not stand for re-election as party chair in December, run for a fifth term as chancellor, or seek a top EU job in Brussels. Constanze Stelzenmüller explains what may come next. This piece originally appeared in the Financial Times. Angela Merkel is known to be unflappable under pressure. But what makes her a rarity among politicians is that she knows when to concede defeat with dignity. The morning after her unpopular grand coalition was trounced in a bellwether election, Germany’s chancellor, in her 18th year as chair of the Christian Democratic Union (CDU) and her 13th as head of the government, announced she would not stand for re-election as party chair in December, run for a fifth term as chancellor, or seek a top EU job in Brussels. The Army has published its formal electronic warfare strategy document in response to broader strategy shifts in the Department of Defense. The Pentagon released the National Defense Strategy in January 2018 to focus more on the so-called great power competition and countries such as China and Russia and focus less on the counterterrorism mission. 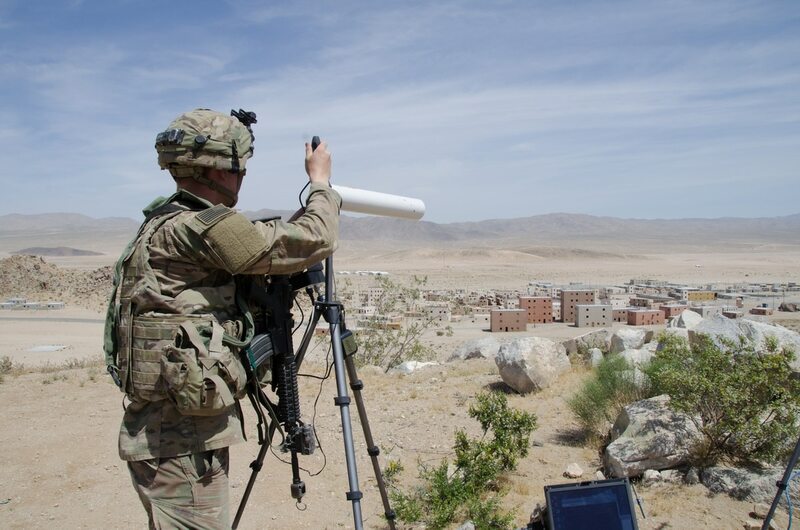 The Department of Defense, a year earlier, released a new electronic warfare strategy, which led the Army to develop its own. The document was formally signed the Army G-3/5/7 on Aug. 23. In this final stretch leading up to the midterm elections you may find yourselves confused about where the two parties stand on some issues, and for good reason. Data from The Primaries Project here at Brookings indicates that there are three key issue areas—trade, immigration and foreign policy—where the views of voters making up each party’s base challenge conventional wisdom. Are the parties swapping places on trade? The first is trade policy. For many years, the Democratic Party was the party most suspicious of trade agreements and most fearful that they would take away American jobs. The labor movement worked hard against a series of trade agreements in the 1990s, including NAFTA and China’s Most Favored Nation. And only two years ago, at the 2016 Democratic National Convention, dissident delegates protested the Trans-Pacific Partnership. But, as the following table shows, while primary voters in both parties say trade creates more U.S. jobs, this view is more popular among Democrats than Republicans by 10 percentage points. And the view that trade takes away jobs is more popular among Republicans than Democrats by 14 percentage points! There’s always a pile of bodies at these massacre sites. Whether it’s at a synagogue, church, nightclub or school, there’s always an assault weapon, or a bunch of them. There’s always the survivors clutching each other, weeping in little clumps outside. And there’s always one other thing. There’s always one guy, who fell through the cracks of society, who lived a life of solitary disappointment and who one day decided to try to make a blood-drenched leap from insignificance to infamy. Directed Energy Weapons: Can the Pentagon and Industry Deliver? The Defense Department is looking to industry to help make lasers and other directed energy weapons a major part of the warfighter’s toolkit. But a number of hurdles remain before the systems can be fully fielded. Officials envision a wide range of military applications for the technology, from missile defense to electronic warfare to blowing up vehicles and aircraft. Conceptually “it’s hard to think of a mission that they couldn’t be applied to,” said Andrew Hunter, director of the defense-industrial initiatives group at the Center for Strategic and International Studies. Undersecretary of Defense for Research and Engineering Mike Griffin is leading the charge for directed energy at the Pentagon. It is his No. 2 priority behind hypersonics, according to officials. IN THE SPRING of 2016, an artificial intelligence system called AlphaGo defeated a world champion Go player in a match at the Four Seasons hotel in Seoul. In the US, this momentous news required some unpacking. Most Americans were unfamiliar with Go, an ancient Asian game that involves placing black and white stones on a wooden board. And the technology that had emerged victorious was even more foreign: a form of AI called machine learning, which uses large data sets to train a computer to recognize patterns and make its own strategic choices. This report tries to understand current cybersecurity policies as a facet of a country’s overall national security policy, and particularly how cyberdefense is embedded in a state’s cybersecurity posture. To that end, this volume examines the policies of four important European actors – France, Finland, Germany and the United Kingdom. The authors find that despite differences in those countries’ approaches, there is a trend toward civilian leadership and oversight and centralizing control and implementation responsibility for cybersecurity and -defense.